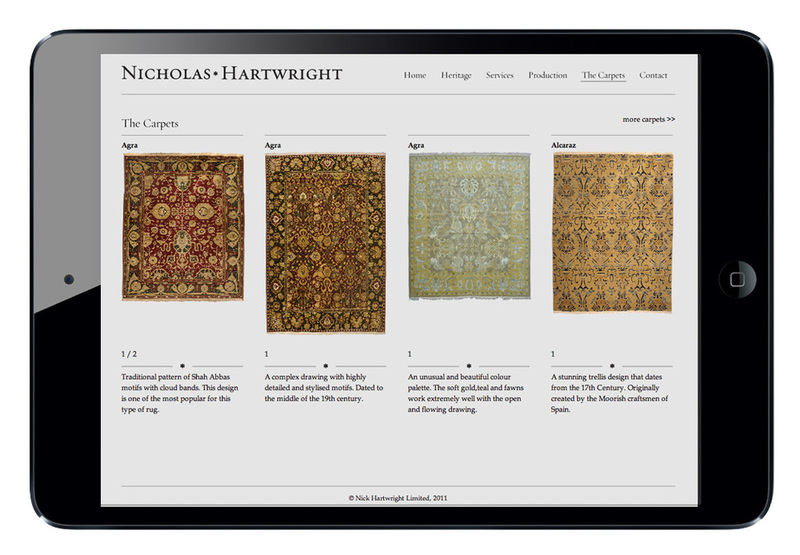 Nicholas Hartwright designs antique reproduction and bespoke carpets. We were commissioned to design a new brand identity and website to display services, products and case studies. The website was influenced by the editorial style found in home magazines.